If you own an aging car, there comes a point where it requires more than regular maintenance. Whether it’s a dead battery in the winter, your transmission starting to go out, or worse, you’re stuck dealing with AAA and a tow truck. With Hum by Verizon, you get the benefits of an on-start like experience, but designed specifically for keeping your car up and running. 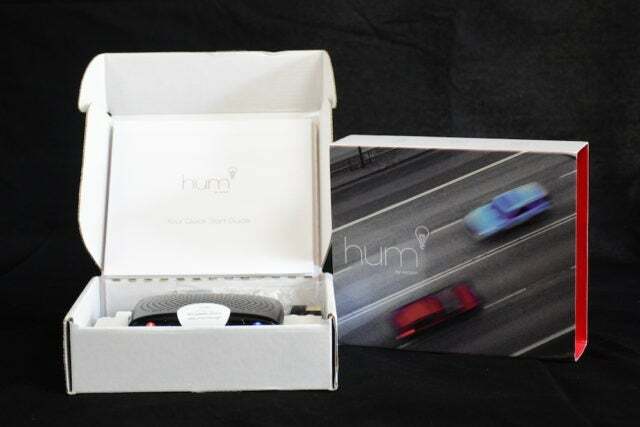 Hum is three parts mechanic in a box and one part data tracker. Through the connected app, you can easily monitor your car’s health; take note of when you should bring it in for maintenance; and collect basic data about your vehicle. We put Hum to the test in a 2012 Toyota Prius 3 – on a road trip, basic commuting, and a few short trips. The setup process for the Hum was incredibly simple. Since I know you won’t read the instructions, the only thing you will likely miss out on up front is that you need to charge the bluetooth speaker before setting everything up. Also, be sure to keep your box as you’ll need the number on it. Follow the in-app walkthrough, plug in the OBD reader, and you should be connected in a matter of minutes. For aging cars, the Hum is more than a nice-to-have, but designed similar in nature to a supplemental insurance plan. 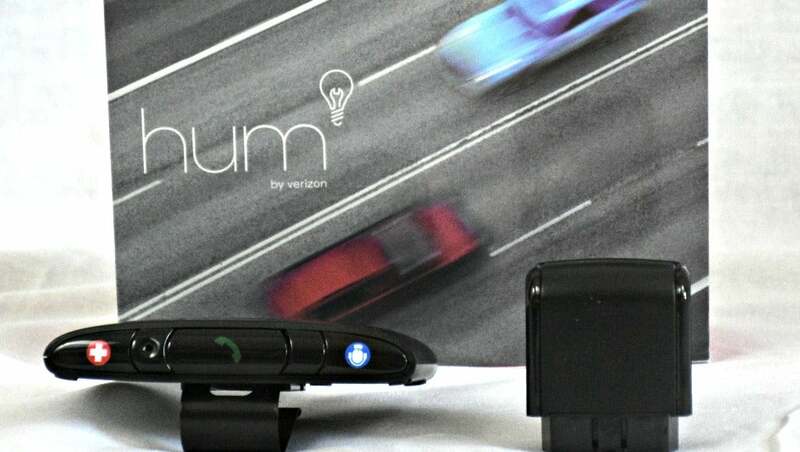 Although there are other car readers on the market, Hum is more similar to AAA than it is to seemingly competing offerings. However, we’ll still compare and contrast a few of these later on with Automatic’s offering. If you look at cost-to-benefit comparison to AAA and Hum, they are actually pretty similar in nature. As far as hardware goes, there are two components: the bluetooth speaker and the OBD port reader. The reader you’ll never see and it does most of the behind the scenes magic, and the speaker is your simplistic interface. If you have an emergency, your car breaks down, or you get into an accident, the speaker handles the basics. For basic data tracking, pinpointing your location for a tow truck, setting maintenance reminders, basic driver alerts (speed and geo-fence), and your driver history and health, it’s all done through the Hum app or website. In fact the app is the real hero for Hum as the hardware is more of a there if you really need it concept. Obviously you do need to keep the speaker battery charged through. You can also get random discounts on the app as well, which stretch to food, mostly the fast kind. The auto-health component is a nice to have, although luckily we had zero mechanical issues during the testing period. You can see a good example of Hum in action after the reader picked up an error and what the conversion may sound like. Typically you would have to go to an auto mechanic or part store for them to plug in a reader (sometimes charging you well over the annual price of Hum), but this keeps track each time you turn your car on. Beyond what you see and get, with your monthly cost you also get roadside assistance for up to four times a year. From towing to gas, the services should get you back on the road. Ultimately the goal is to connect you with a mechanic, saving you time and money rather than if it’s fixable on your own. If not, they support quite a few basic services. Overall the Hum is not like many DIY devices that focus on car health and data. While it does work well, it’s more similar in nature to a simplified, portable On-star combined with the services of AAA. Hum features a sleek black look, designed to fit in with the same typical material you’d find as accents throughout a car. For the most part you’ll never see the reader, but the bluetooth speaker sits on the driver-side visor much like that of a garage door opener. It features three buttons, a standard headphone port, and a battery indicator. The buttons are a little bit of a pain to press on the visor, but beyond that it fits in and works well. The app, which is what most people will care about the most, has sort of an ugly user interface. I feel like it was designed to have incredibly large font and huge buttons, but unnecessarily large. The setup process has a clean design and so does the main screen. Beyond that the interface becomes incredibly plain. However, its plainness also makes it simple and easy. Overall the Hum is designed to fit in with your car, not standout. We got a bit nitpicky with the app, but due to the button issue its overall score took a slight hit here. There are several gadgets on the market with similar goals, but for the most part there are at least a few unique features of each. The unique features between Hum and Automatic fall in favor of Automatic, especially now that they’ve launched their 3G connected Automatic Pro. As mentioned throughout the review, there are some shortcomings, especially if you already have a typically healthy vehicle. For Automatic, there are additional value-added features included, primarily by way of integrations, more data available, and educational alerts for new drivers. If you have a healthy car, Automatic is the better option. If your car is on the struggle train, get Hum. 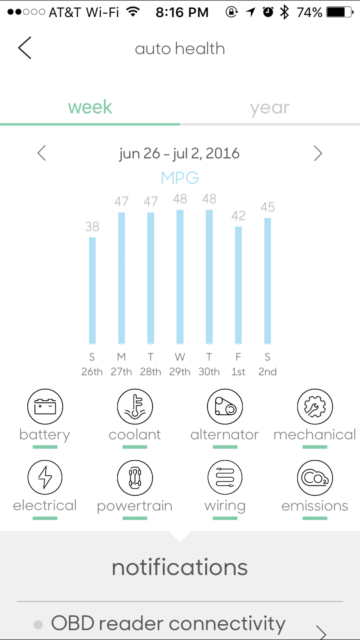 As an added bonus, Hum can in fact track your fuel consumption, whereas Automatic can only estimate it. Should you buy Hum by Verizon? Yes, if you have an aging car or want to keep track of your car health. Hum also has added features such as keeping track of where you park, speed alerts, and boundary alerts are also nice-to-haves. Ultimately it is designed to keep your car healthy and in the event of an issue, access to a mechanic who can troubleshoot the issue or find your exact location to assist you. For those seeking more of a data enriched experience, there are other gadgets that may be more suited for your needs. At its price-point, Hum is great for those who are clinging to their aging car, and don’t want to bug their family and friends for constant motor assistance. Keep in mind that the cost also includes up to four events/roadside assistance requests per year. Overall it works well and does as intended, but has a few minor flaws. The biggest gripes come down to the two-year contract, over simplicity of what you get, and that for the most part it truly just helps you understand your car health. Most consumers now have some sort of cellphone, and although Hum sort of acts as a connector for those in need of assistance, a phone does the same job if not better. We give Hum by Verizon a 3.5 out of 5. Acer today announced a new product line-up that introduced new models in a whopping six separate ranges: Predator, Nitro, Aspire, Chromebook, Travelmate and Spin, plus the "ConceptD" product portfolio, aimed specifically at creators. Here's all the details to know.